While the ultimate fate of President Donald Trump’s travel ban remains uncertain, it’s still preventing an Iranian filmmaker from attending the San Luis Obispo Film Fest in March. Originally implemented through an executive order in January, the temporary ban blocked citizens from seven predominately Muslim countries—Iran, Iraq, Syria, Lybia, Sudan, Yemen, and Somalia—from entering the U.S. In early February, the U.S. Court of Appeals for the Ninth Circuit rejected the president’s bid to reinstate the ban on the grounds that the administration had shown no evidence that anyone from the seven countries had committed terrorist acts on U.S. soil. The court’s decision backed an earlier ruling by U.S. District Judge James Robart to temporarily restrain the ban. It’s unclear if the Trump administration will appeal the court’s decision or not. TRAPPED: In Hassan Akhondpour’s film 'Fereshteh, Daughter of Ahmad,' a young woman must decide between being with a married man to help her family or holding on to her morals while the family suffers. When Hassan Akhondpour found out in June that his film, Fereshteh, Daughter of Ahmad, would be screened at the festival, he said he was excited and planned to attend the event. The 35-year-old Iranian filmmaker, who has never been to the U.S., said he grew up dreaming of visiting America because of artists like Michael Jackson, Marlon Brando, and Robert Redford. But when the travel ban was announced at the end of January, Akhondpour was forced to cancel his plans to travel to SLO. Although the ban is currently on hold and Akhondpour could technically travel to the U.S., he still needs to obtain a visa. When the ban was originally implemented, he gave up his interview appointment with the U.S. Embassy in Dubai. He said that now there aren’t any appointment slots available in time for him to make the trip to California for the festival. Still, Akhondpour said he was heartened by the response of the American people and the outpouring of U.S. citizens protesting at airports across the country. SLO Film Fest Director Wendy Eidson said that the festival receives great films from all around the world, including Iran. Akhondpour’s film centers on the dilemma of a young woman to hold on to her morality or to do whatever it takes to provide for her struggling family. The filmmaker said he hopes the story allows viewers to gain insight into the lives of Iranians, while also raising awareness that the current political climate could leave the U.S. isolated from the rest of the world. 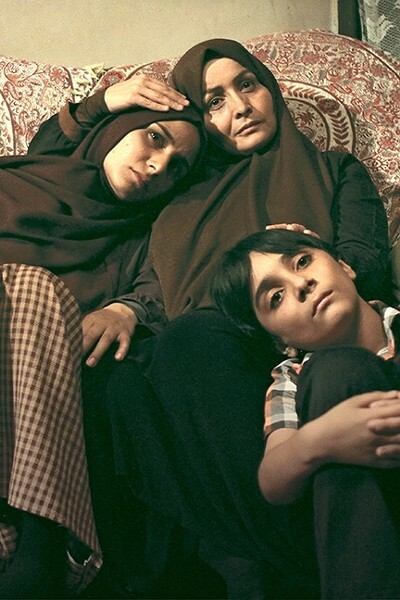 Fereshteh, Daughter of Ahmad will show as part of the SLO Film Festival on March 16 at 1 p.m. at the Fremont Theater and on March 19 at 3:30 p.m. at Mission Cinemas.